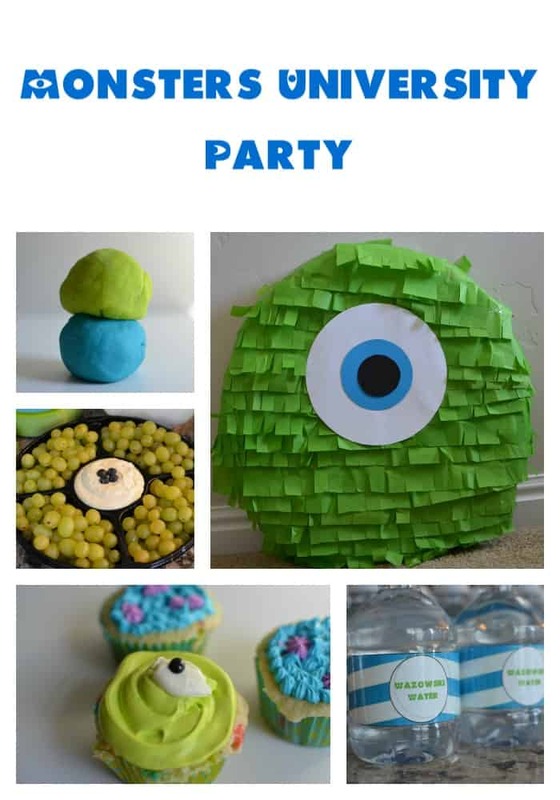 Planning a Monsters University Party? 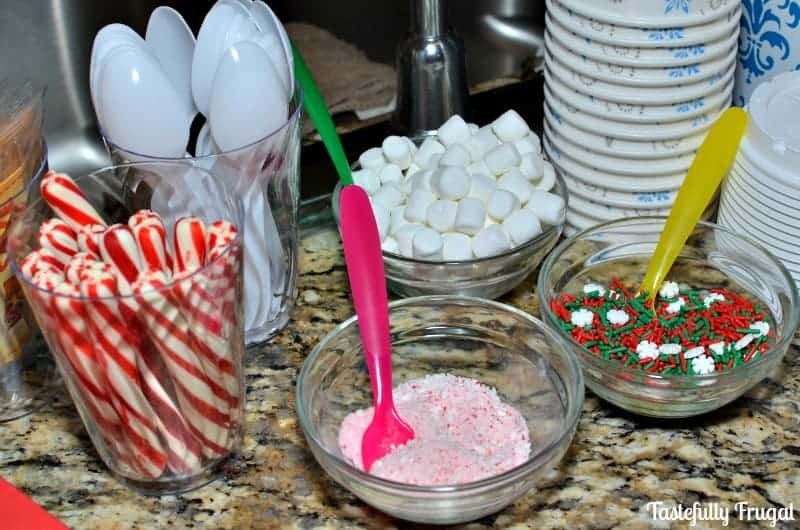 Check out these fun and easy party ideas! We are big Monsters University fans here! I don’t know if it’s the music or the bright colors but my 2 year old is especially fond of the show. When we asked him what kind of party he would like for his 2nd birthday he said “Mikey-ow-ski” and how can you say no to a sweet little request like that?! 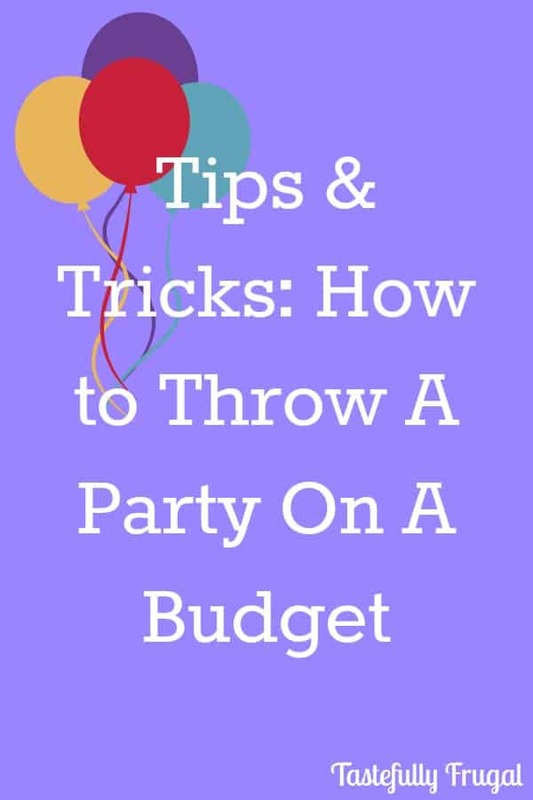 May was a super hectic month and I really only had about a week and a half to plan his party (not my finest mom moment) so I wanted to go with quick and easy ideas. After getting almost no sleep and stressing about our Star Wars Party I decided to have our party start at night instead of the afternoon. It was perfect because I had more time to get everything done and it wasn’t as hot. If you are having a party in the summer I would definitely suggest a night time party; it’s much more enjoyable when the weather starts to cool down. Wanting to keep things as easy possible I went with a few family favorites and then added a couple of new additions. 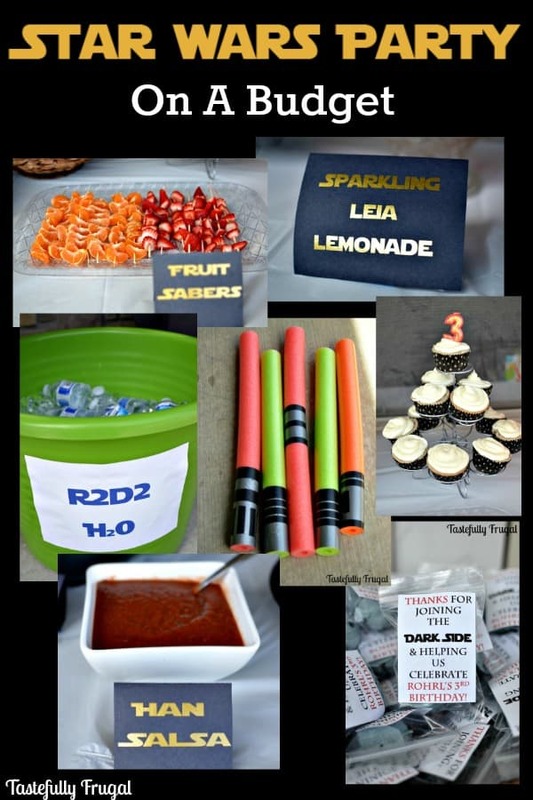 We had RΩR Raspberry Lemonade (I used the same recipe as my Sparkling Leia Lemonade) and Sulley Salsa. We also had Monster Munchies Mix and Mike’s Eye Grapes and Dip. 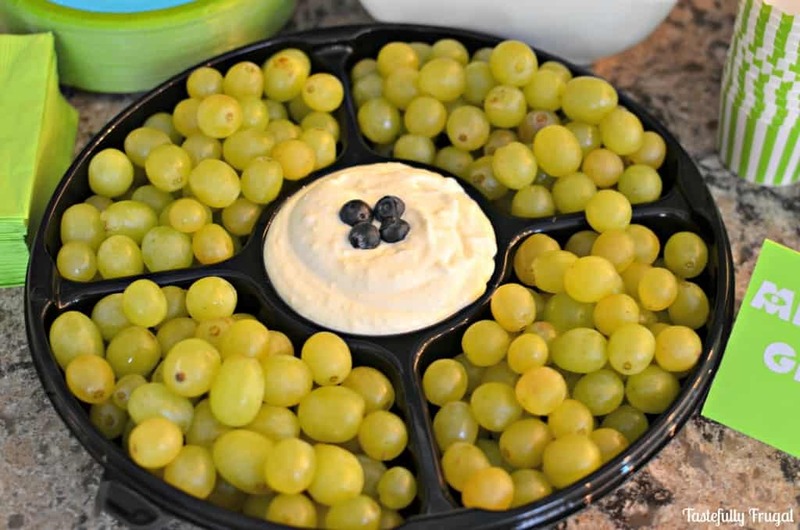 I used a veggie tray and filled it with grapes around the perimeter and used this fruit dip recipe for the inside with 4 blueberries to make his pupil. Knowing that my party was for younger kids I didn’t want to have too many games but we did have a few. 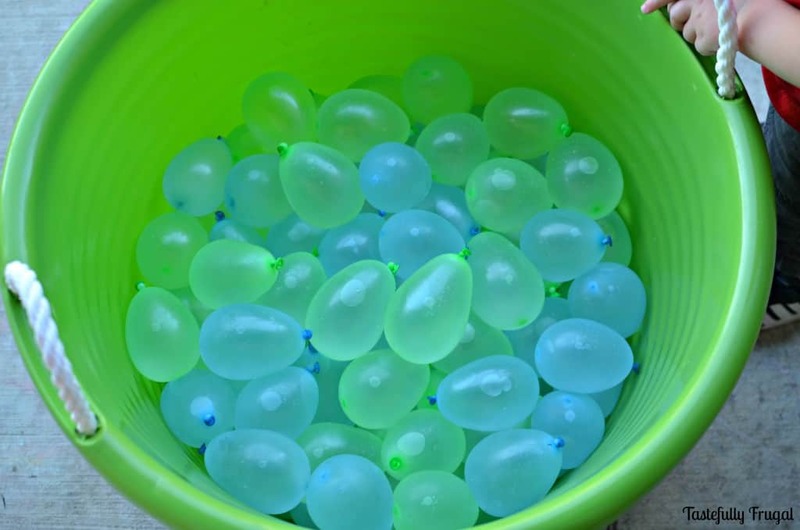 Keeping with the scare competition games we had a Toxicity Challenge (a.k.a water balloon fight). What kind of summer party would it be without a water ballon fight right?! Then we played hide and seek; perfect for little ones. 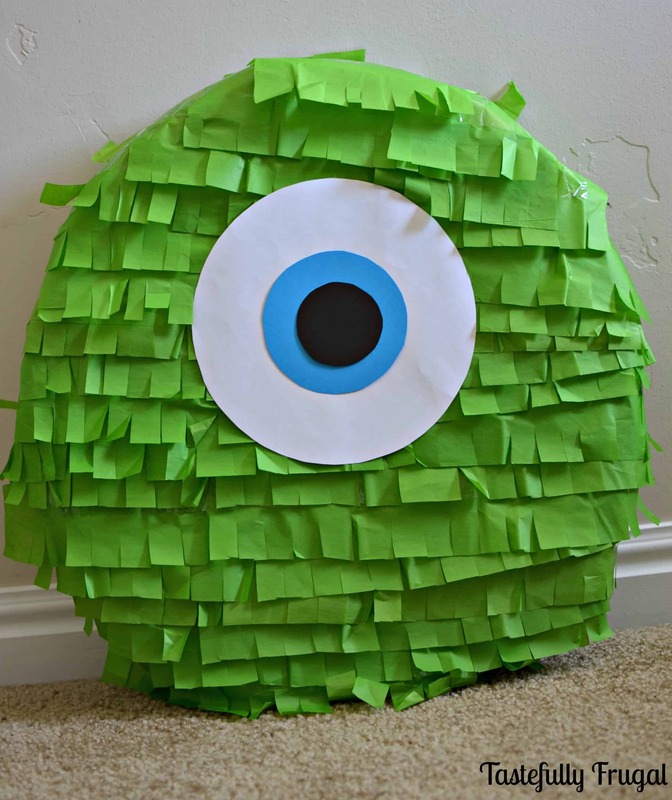 The Mike Wazowski piñata was the hit of the party…no pun intended. 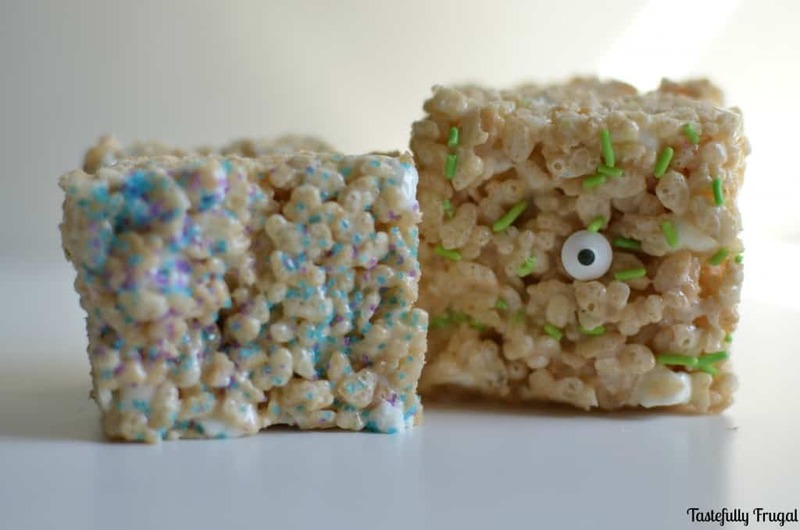 I don’t like sending home goodie bags full of sugar but I did have to add a fun treat; Monsters Rice Krispie Treats and fun & bright Monsters Play Dough; check back next week for the tutorials. 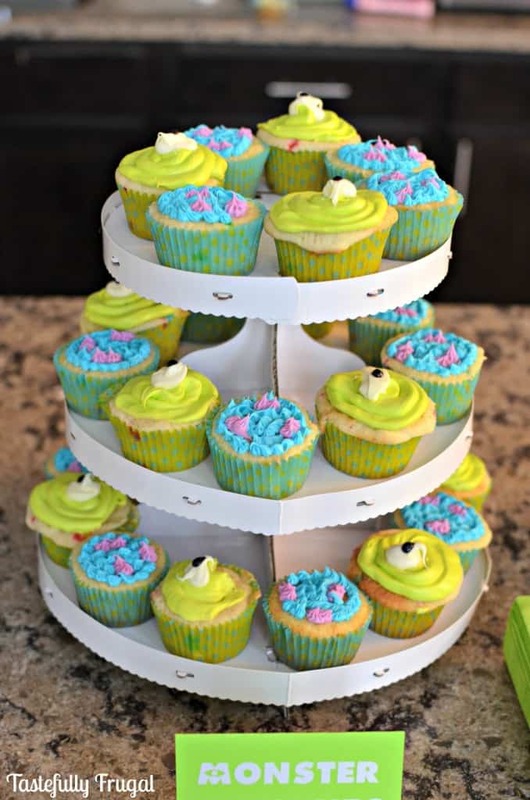 All the kids (and grown ups too) had a scare-tastic time and for the party planner it was an easy one to plan too! 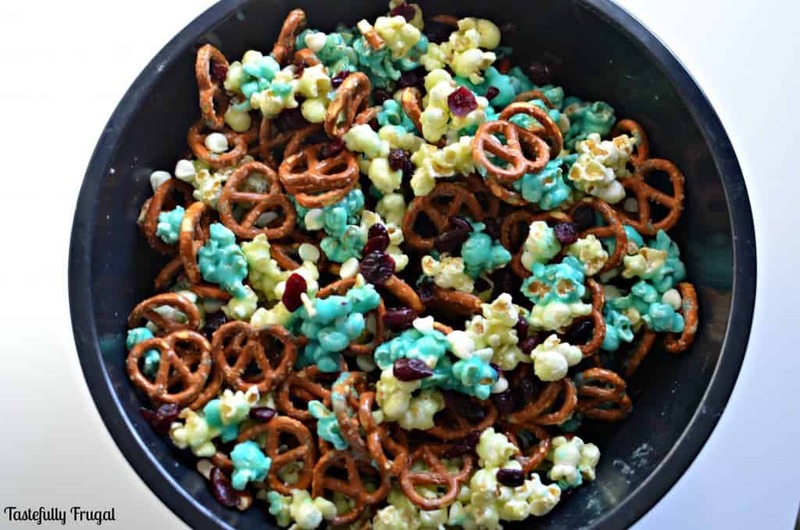 Do your kids like Monsters University? Whose their favorite character? The food was definitely the funnest part for me! Thanks for stopping by Carlee! 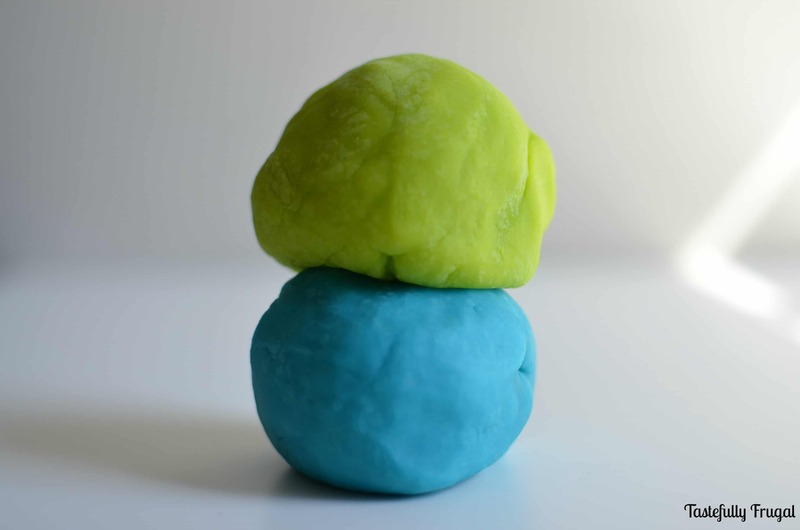 My two boys are huge Monsters Inc and University fans, so love these ideas! With birthdays coming up, I’ll keep them in mind. 🙂 Such good stuff, especially the dip and the Munchies Mix! wendy recently posted…School trips are just getting out of hand. Ah so much fun! Monsters is such a great series of movies! I hope they have great birthdays!! I love this post, I am forwarding it to my daughter. Monsters Inc. has a special place in my heart. When my daughter was 4 this movie came out and she was totally obsessed! She’s 17 now and we still love it! Pinning! Thanks so much Roxanne! I loved this movie too (even though I was a teenager when it came out) I think it’s so fun when we can build memories around movies with our kids. This is adorable! Especially the Monster Munchies! My son and I went as Mike and Sulley a couple of years ago, he would’ve loved this party! Thank you so much April; it was definitely the funnest party I’ve done! That is so awesome that you went as Mike and Sulley with your son; who was who? Sydney, What a cute idea! I’m sure your little one was so excited and I love that he picked his theme! 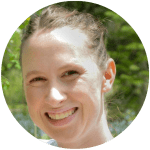 Thank you so much for stopping by and sharing at Dream. Create. Inspire. Link! I hope we’ll see you there again tomorrow! Thank you Cat…he had SO much fun! 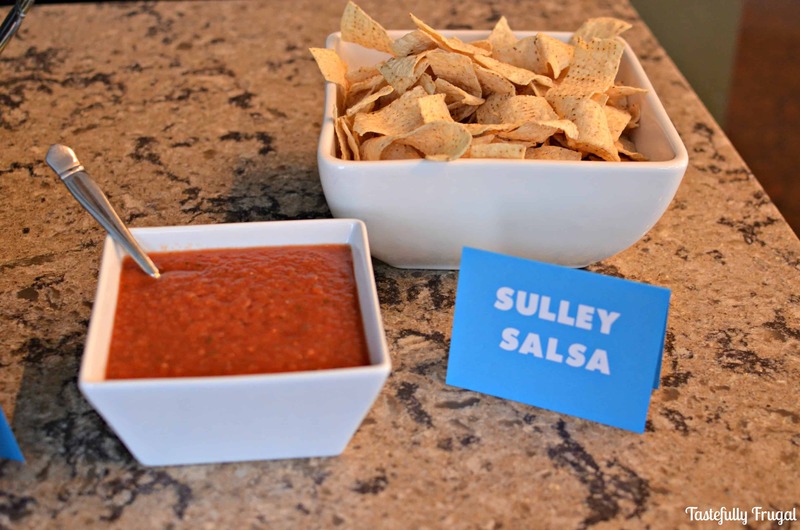 Thank you so much for hosting such a fun party! !